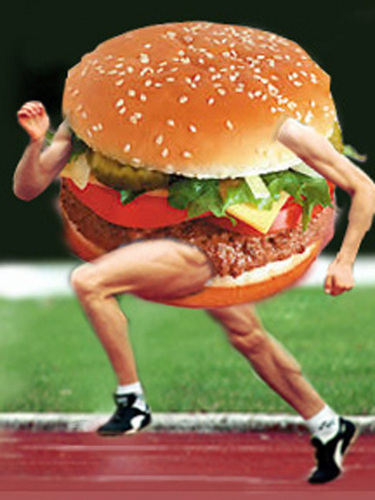 ফাস্ট ফুড. . Wallpaper and background images in the খাবার club tagged: fast food burger running track funny photoshop.